Warm wishes for a very healthy, happy, safe and productive new year to everyone in the ISPR/Presence community – I’m looking forward with you to lots of exciting and thought-provoking (tele)presence developments in 2015! Get ready to take the stage with Paul McCartney. If that’s not your thing, you can test-drive the latest SUV before it’s available in showrooms or experience a movie as though you’re in the scene. That’s been the promise of virtual reality (VR) for years, although stepping into an immersive three-dimensional virtual world has always required expensive stereoscopic head-mounted displays and other specialized equipment. A new, more accessible form of virtual reality delivered via the Web promises to let people experience digital worlds in 3-D using head-mounted displays connected to a variety of browser-enabled devices. Web VR is expected to offer the ability to move you from one immersive experience to another with a click of the mouse, touch of the screen or nod of the head. Web VR will let software developers port their virtual worlds to the Web, making them available for most VR hardware. Google and Mozilla are setting these wheels in motion within the next month or so when they deliver updated Chrome and Firefox browsers that support Web VR. Facebook’s $2-billion acquisition of VR headset maker Oculus VR earlier this year and the release of relatively inexpensive headsets from Samsung and Google provide further evidence that Web VR could be ready for wider use. Web VR has been around since the early 1990s, when virtual reality modeling language, or VRML, aimed to allow the creation of virtual worlds—such as Second Life—linked together via the Web. But VRML could only be rendered using heavy-duty graphics workstations more likely found in a computer science lab or a data center than in one’s home. Although work on VRML continues, this first attempt was way ahead of the hardware. All of these projects are app-based: Just like a smartphone app, you have to find them and download them individually to your computer or phone—and most of them will run on only one kind of headset. Available gadgets include the still-in-beta Oculus Rift (targeted more at programmers than the average user) and Samsung Gear VR. Google’s DIY Cardboard is an odd entry; the company offers directions to help you make a cardboard headset with lenses that you put over a smartphone to see VR content. Look for headsets to become more common as prices fall. “As we continue to see economies of scale, virtual reality gets smaller, faster and cheaper,” says Josh Carpenter, lead experience designer on the Mozilla project. Educators see value in Web VR. Josh Maldonado, a student at Toronto’s Ryerson University, is developing Vessels, a digital tour of the human circulatory system using the Oculus Rift platform. Maldonado, the project’s leader, says he sees huge potential for Web distribution of this and other VR experiences. Online accessibility could also make Web VR appealing to psychology researchers, according to Jim Blascovich, director of the Research Center for Virtual Environments and Behavior at the University of California, Santa Barbara. He regularly uses virtual environments to perform experiments because they eliminate the inescapable variations of interpersonal interactions. “With virtual reality you can create an experiment that runs the same for every subject,” he says. But there’s still the problem of recruiting a wide sample of subjects. “We don’t often use representative samples—we know a lot about sophomores in college.” If VR gear becomes cheap and widely accessible, experimenters could recruit more diverse sample groups using IP addresses, he adds. In addition to interesting content Web VR’s success depends on widespread browser support and the ability to find this content. 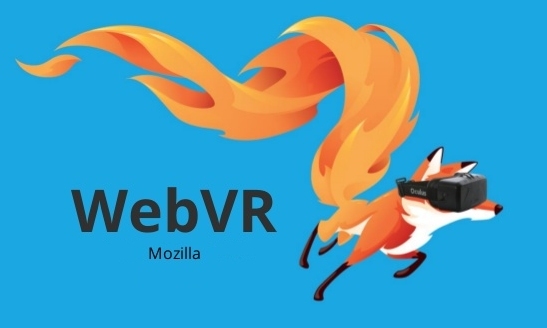 Mozilla is taking on the latter with its recently launched MozVR.com, a simple directory of virtual reality Web sites. Browser support is a work in progress. Brandon Jones, an engineer on Google’s Chrome browser team, is working to add Web VR interfaces to Chrome, coordinating with Mozilla to make sure that VR content will run consistently in both browsers. “If only one browser supports this or different browsers support it in divergent ways, it won’t be as compelling,” he says. When contacted, Microsoft would not say whether it plans to enable Web VR in its Internet Explorer browser.